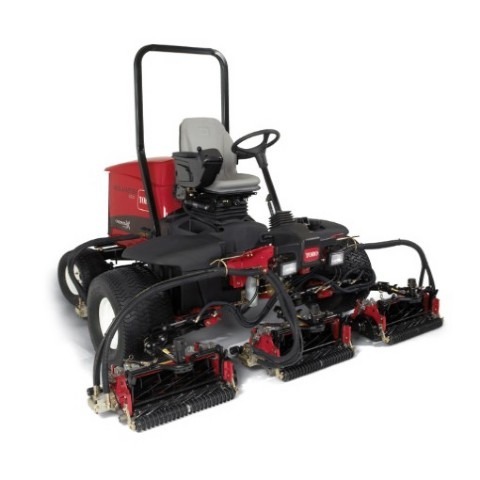 The Reelmaster® 5510 is designed to deliver the performance you’ve come to expect from Toro. The 35.5 hp (26.5 kW) 5510 comes standard with the larger 7` (17.8 cm) diameter cutting units for heavy mowing conditions where extra capacity is needed. Light weight is due to optimizing the design to reduce weight without giving up performance and durability. Available in standard 2 wheel drive or add on the CrossTrax® all-wheel drive system. Contact your Toro distributor for further details and information.